Rough hewn antique timbers have been reclaimed from old barns and mill buildings that were constructed in the 1800’s. They are stunning in their richness of character. To reclaim the timber, our suppliers travel to the old mill or barn, strip the building down to its bare bones, then disassemble the frame and package it for shipment to their yard. 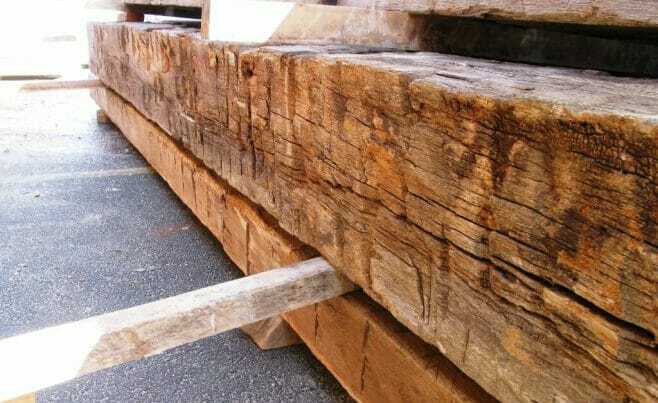 Once there, the timbers are sorted for size and wood species, all the nails and metal fasteners are removed in a very labor intensive process and the beams are stocked and ready to be sold to us. 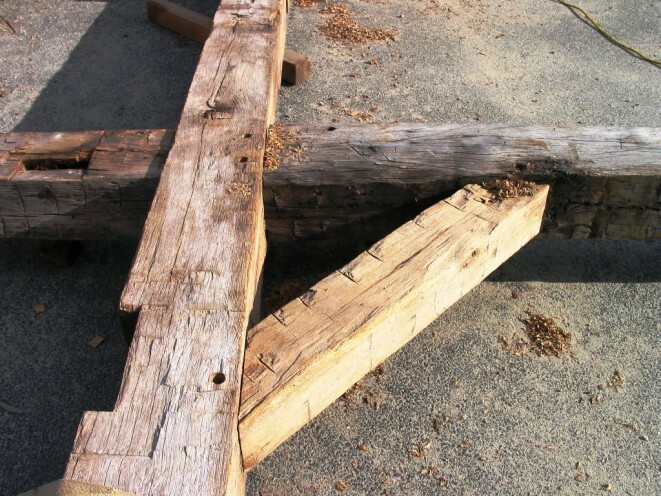 When we place an order for antique wood, we specify either “hand hewn” timber or “re-sawn” timber. The re-sawn timber is cut with a band saw to our requirements. It has a beautiful tight grain. 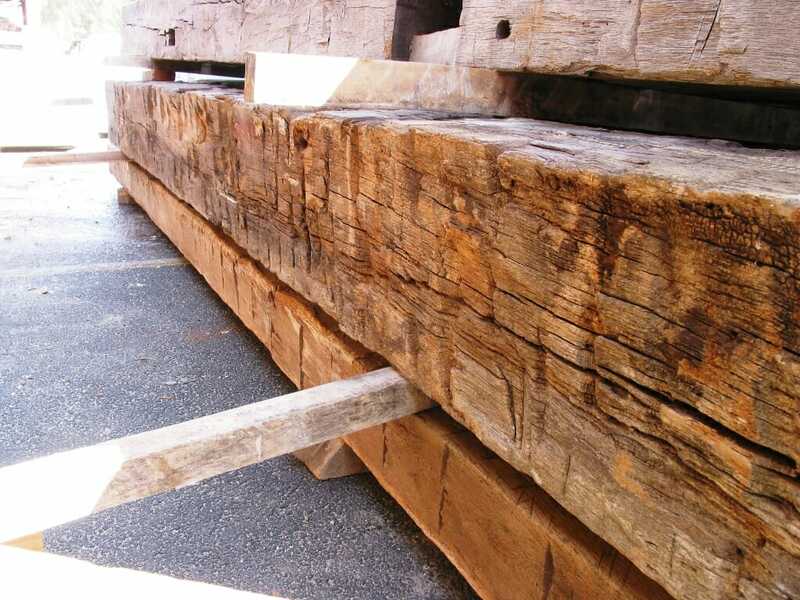 The hand hewn timber comes to us as is, and we scribe it to fit into a timber frame. One of the limitations of antique timber is structural. Often the beams are partially rotten, or split in a structurally compromising way. We check all antique beams for structural integrity and use them where we can or order replacements when required. In the end, reclaimed antique timber frames are very beautiful, very special, and very expensive.